Sandals Grande St Lucian’s only resort cradled on both sides by the majestic Atlantic Ocean, Sandals Grande St Lucian’s sheltered mile-long beachfront is home to the calmest waters in all of St Lucia. Loyal guests often describe this Sandals gem as the “closest vacation to a picture postcard” with its awe-inspiring panoramic views of historic Ft. Rodney and volcanic mountains rising from azure waters. The grande three-story lobby is reminiscent of a British palace and the gathering place for cocktails and tantalizing afternoon buffets accompanied by the soothing sounds of a grande pianist. Sandals Grande St Lucian: Everything aquatic is at your beck and call (and included) with an alluring dive reef just five minutes away. Five fresh water pools beckon—rejuvenate in the Sandals signature energy pool with swim-up bar, immerse in romance in the beachside heart-shaped pool for lovers, or glide from your living room into the exotic lagoon pool. Give in to total indulgence in the one-of-a-kind Presidential Suite or a Grande Rondoval suite-in-the-round with your own private pool. Dine around the world in eight international restaurants including the renowned over-the-water Gordon’s. Thirteen additional restaurants await your pleasure at Sandals’ two sister resorts. Excitement and entertainment abound with enthralling fire dancers, on-premise village festivals, saxophone serenades from atop the pool tower, and ongoing entertainment nightly. 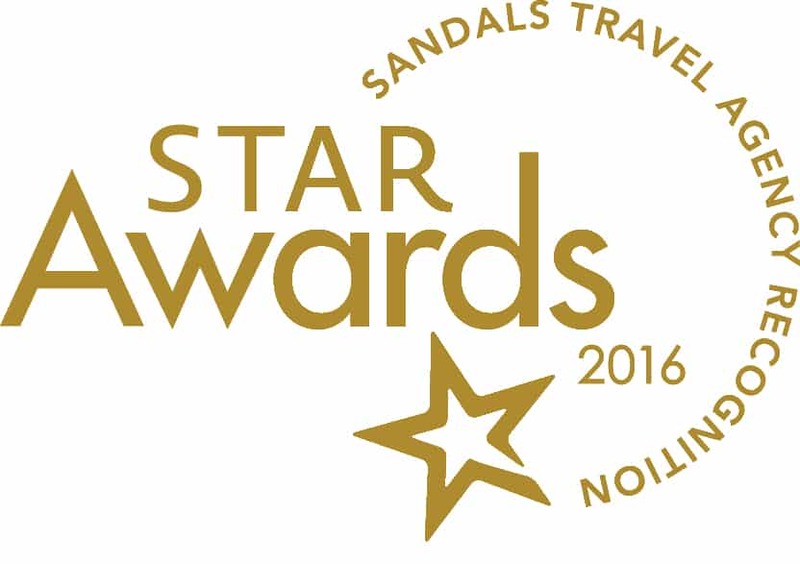 Why Choose the Sandals Grande St Lucian Resort? If you like vacationing in a luxurious resort with views that stir the soul and a staff that steals your heart, Sandals Grande St Lucian is for you. Set on its own peninsula, with views from sea to shining sea—the calm waters of the Caribbean sea dotted with colorful boats on one side, and the Atlantic Ocean with its distant shores of Martinique on the other, make this resort a picture-perfect postcard setting. Don’t forget to check out our Sandals vacation deals! Ready to journey to this luxurious resort yourself? 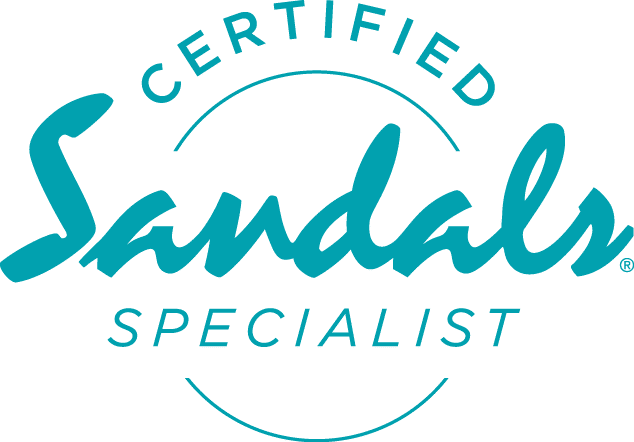 Our certified Sandals specialists would be delighted to help! Just get in touch with a few details about your trip and we’ll help you building your own dream vacation today!